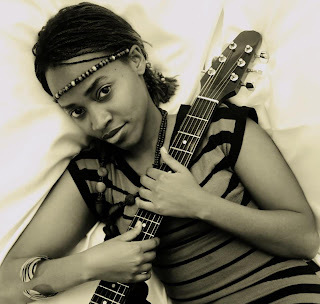 Basically, I can find no information on the Kenyan artist named Mel hoto who put out the very heartfelt song 'Sina Imani' this past February. The only information I can find on this song is by Kenyan music portal called Mziki Kibao who claim this song is about how Kenyans want new leadership and they have the power to demand change, but given that I can't translate the lyrics, I cannot attest to this interpretation of the song. But, given that this song seems to have been released around February and given the nature of the music video below, Mziki Kibao might be right in their interpretation. Regardless of what the song is about (this is when I wish I was a polyglot), its gorgeous, and Mel conveys it in a very compelling manner. Further, the video she created for it, which I've posted below, is also splendid. Happy Friday, all!